We know where the most mysterious hatch of Fortnite is. A very easy challenge awaits Fortnite: Battle Royale players on week eight of Battle Pass challenges in season seven. All players have been tasked with searching between a mysterious hatch, a giant rock lady, and a precarious flatbed. This challenge sounds a lot like the giant rock man challenge from week five, but players will have to use another stone statue as a reference this time. Players can complete this challenge in any standard or Limited Time mode in Battle Royale, except for Playground. 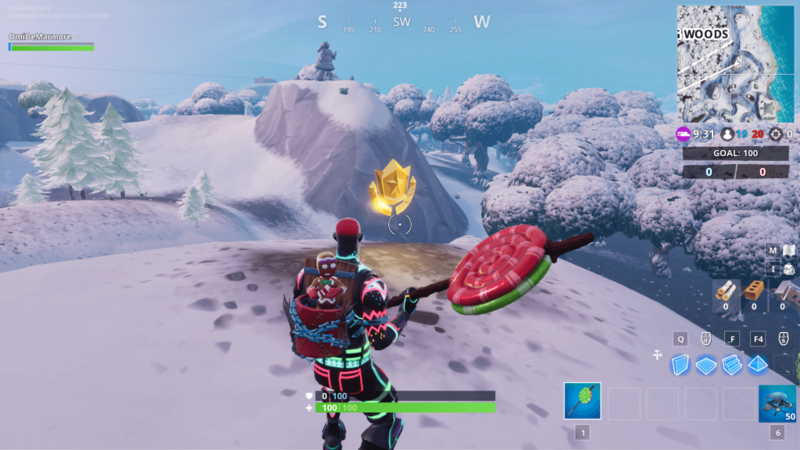 Just as in every other challenge like this, players have to find the objects the challenge is referring to and search the area that’s between all of them for a Battle Star. 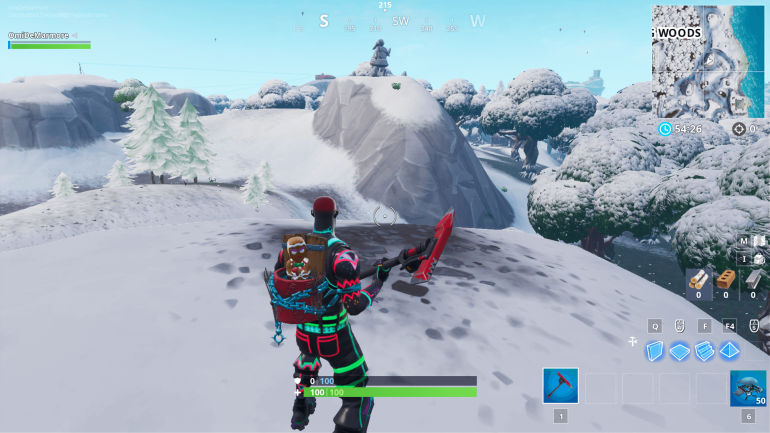 This time, all these objects are located in the area east of Wailing Woods. The giant rock lady is on a hill southeast of the area, the mysterious hatch is between the trees on the northeast, and the precarious flatbed is in the far east, very close to the ocean. 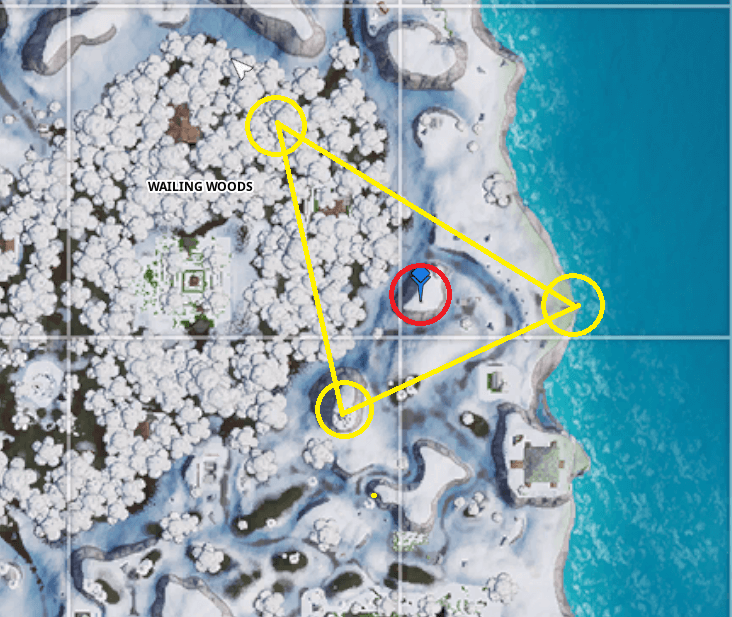 When we connect these three areas, they form a triangle that has a hill on its center. That’s where players should look for the Battle Star. 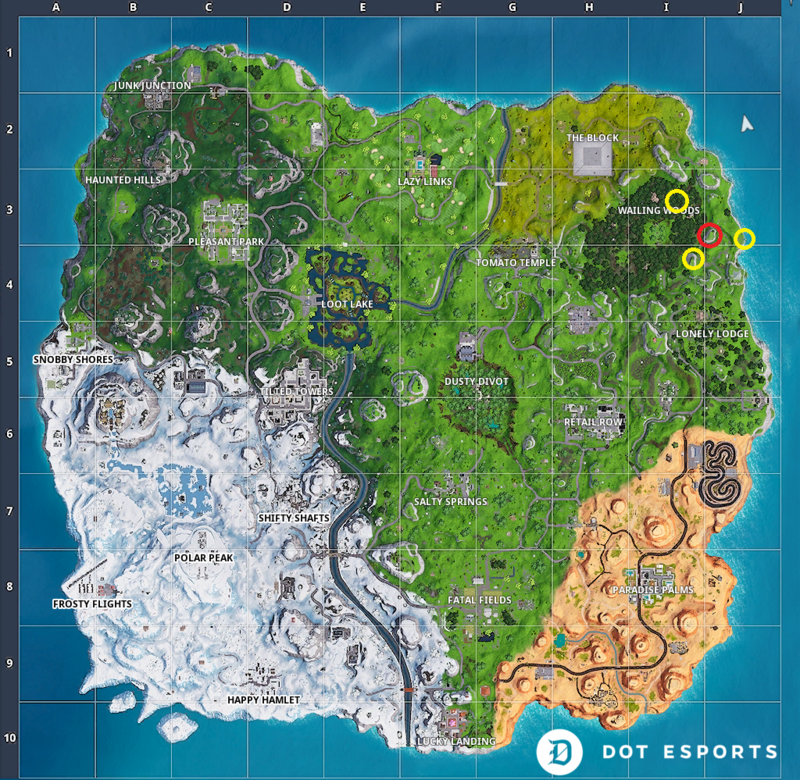 When players go up on that hill, they’ll find an area with dry ground that isn’t covered in snow. That’s where the Battle Star will be hovering, and players just have to interact with it to complete the challenge and grab 10 Battle Stars for this easy challenge.